Rick Jelliffe writes about how he lived “smaller” in 2008. In Japan under the Shoguns, there were tight sumptuary laws that prevented ordinary people from such luxuries as chairs and tables. The result was a culture rich in fabric, ceramic, paper, paper, gardens, calligraphy and small objects that could be stored away. There is little stark about a simple traditional Japanese tatami room, which can be contrasted with the starkness of the ideological modesty of Shaker furniture, for example: indeed, the plainness of tatami room merely provides a frame which shows off the beauty of craftsmanship, design and display. So simplicity is not antagonistic to beauty. 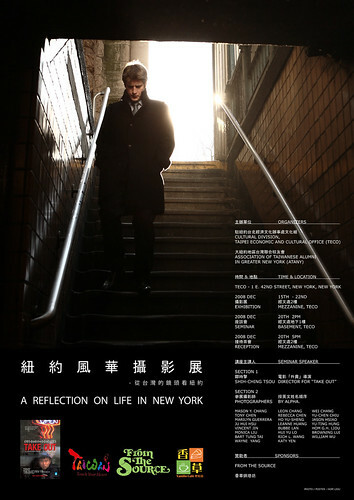 I am part of the group show “A Reflection on Life in New York” that is being hosted by the Taipei Economic and Cultural Office – New York from December 15-22. The show is curated by Hom Liou.